The Certificate in Creative Placemaking program helps students influence the levers of power in communities. To this end, we are adding two workshops and a webinar to train students in strategic communications. We are also providing one year of free membership to the new membership program to be offered by The National Consortium for Creative Placemaking. The Certificate in Creative Placemaking is produced by The National Consortium for Creative Placemaking and New Hampshire Institute of Art. Reading strategically, a webinar available in September 2018, focuses on how to scan and review scholarly articles, plans, studies and other academic documents efficiently and effectively. Speaking strategically, a four-hour workshop to be held in June 2019, focuses on presenting complex information about creative placemaking to different audiences. The workshop will be held in or around Newark, NJ or Manchester, NH. These training sessions are available free, only to current students and graduates of the current or previous versions of the Certificate program. The sessions are optional, but highly recommended. Anyone in the Certificate program can benefit from the strategic communications series, whether they are working artists unfamiliar with the communication styles of government officials, or public officials who want to persuade key stakeholders in their communities. 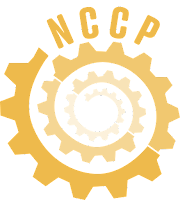 This summer, NCCP will be unveiling a new membership program. In the first year, members will get curated notices of job and grant opportunities, as well as new or interesting projects and reports. Members will also get special discounts to NCCP programs. First year membership fees will be around $30. Certificate students will have free memberships while they are enrolled in the program.